If you have a download file of ViralFB update version 4, please kindly contact me. Having trouble accessing the admin panel? It looks like the problem is not related to real-time users, I have few hits. I refaced the installation from scratch and the problem continued. I’ll try to access it by your tip, thanks! Try with the link I shared with you. 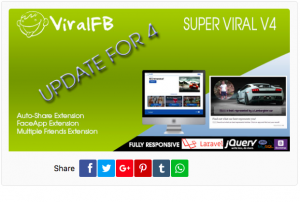 I sent email to ViralFB developer about version 4. If I get it, I will share with you. You better switch to other script Bro. ViralFB is now full with problems. I also already dropped it. Hi, I also have only ViralFB. I would like to suggest you to stay at v2. It is more stable with less bug. I need multi-friends plugin thats why i need its Version 3? Do you have it? Bro You blog is awesome! Discovered your blog a few days ago and I’m reading your posts one by one. 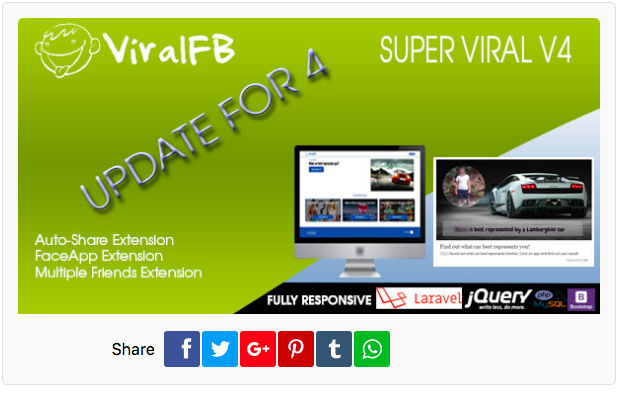 Hi bro, I am leaving ViralFB as it is full with bug. (But it was one of the best earning script I have ever used). If I get Version 3, I will share with you. Don’t worry. I would like to suggest you to think for other scripts (which have active and ongoing support). I’ll for sure shift to other scripts once I earn enough with this one. Because of no funds left i’ll have to use it. You blog is very informative in this regard and I’ll be reading your posts regularly. Keep sticking to the current version you have for ViralFB, please don’t try to upgrade or change it. If you make something wrong, you will become helpless. Just try to focus on making your quiz viral and earn money to switch to another better scripts. lol I’ll maybe have to use Socioquiz 😐 Unable to save results in ViralFb (When creating apps). Haven’t shared a single quiz yet. Trying to debug it. i have 100 socioquiz quizzes. If you want to use it, I can share with you. The only thing we need to worry is copyright issue. @Aunghein I have problem with Admin Panel after I install it competed. Can you help me with this bro? I trying for days to fix the admin panel but it keeps on loading and after some minutes it will be 100% loaded but its very very slow, any help ? i have version 2.0 of ViralFB. I have used steps in this article but not working for me.